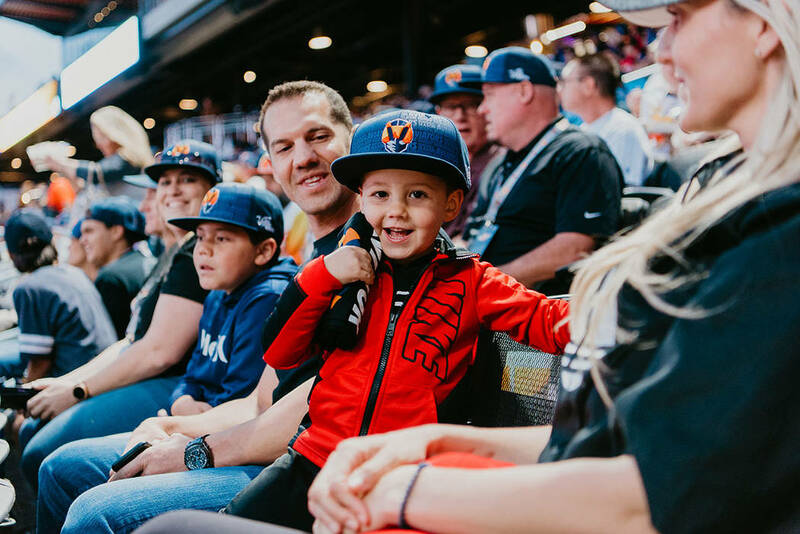 The Howard Hughes Corp. unveiled Las Vegas Ballpark, Southern Nevada’s newest professional sports venue, at the April 9 season opener of the Las Vegas Aviators to a sold-out crowd of 10,000-plus fans. The Howard Hughes Corp. 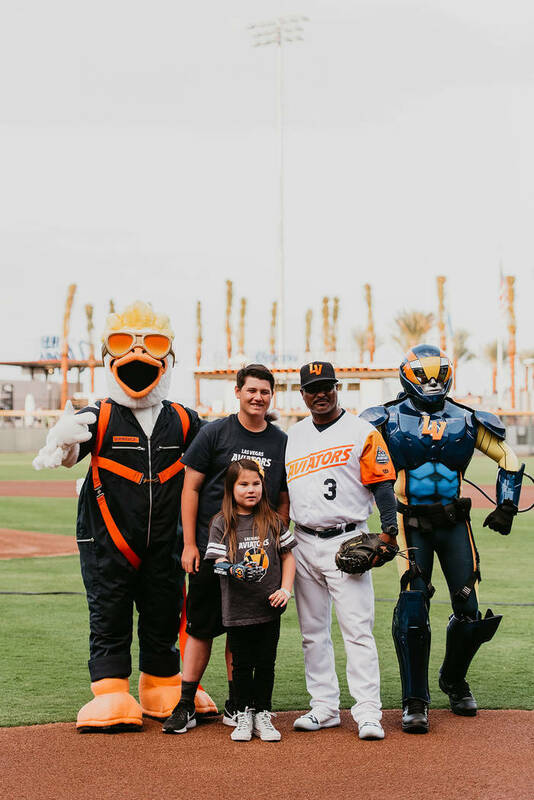 The season opener included a first pitch from Hailey Dawson, a celebrated local 9-year-old with a 3-D printed robotic hand created by the UNLV Howard Hughes School of Engineering and the first person to throw the first pitch in all 30 MLB stadiums nationwide. 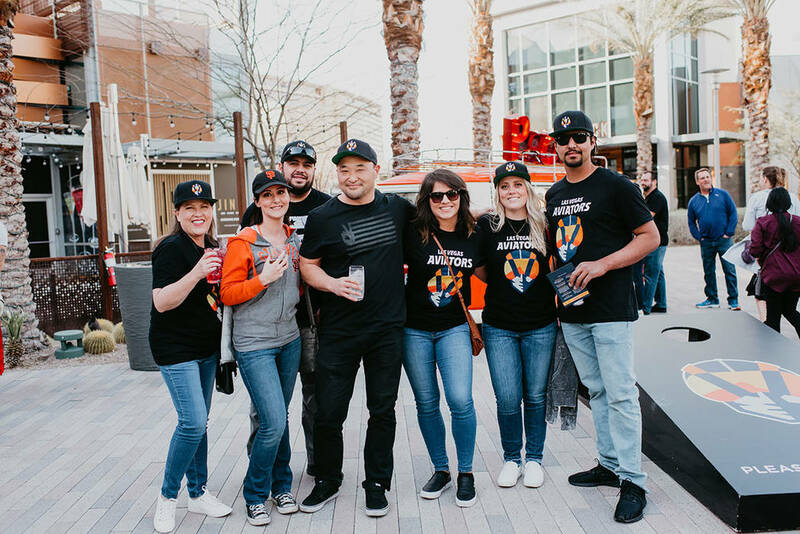 The Howard Hughes Corp. Las Vegans showed up in full force to support the Aviators and the opening of the Las Vegas Ballpark in Downtown Summerlin. The Howard Hughes Corp. 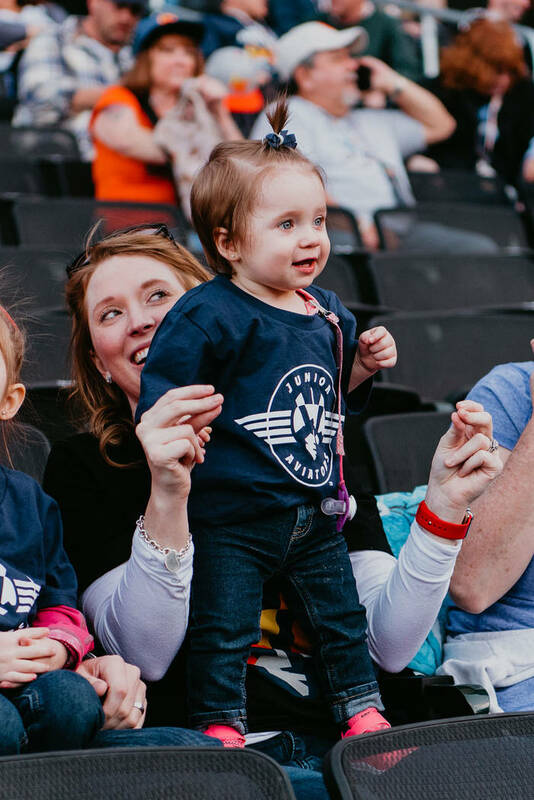 Fans of all ages showed up to cheer the Aviators, who celebrated a new name in a new home. The Howard Hughes Corp. The evening included a win by the Aviators over the Sacramento River Cats. 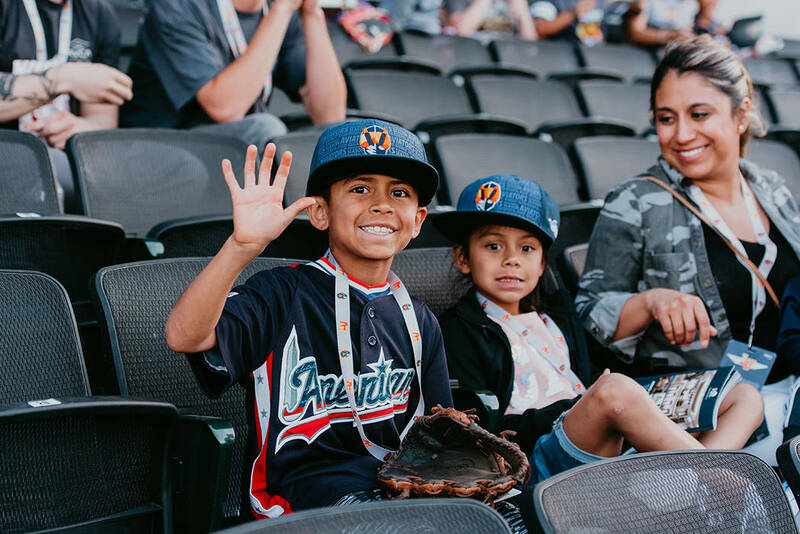 The Howard Hughes Corp. unveiled Las Vegas Ballpark, Southern Nevada’s newest professional sports venue, at the April 9 season opener of the Las Vegas Aviators to a sold-out crowd of 10,000-plus fans. 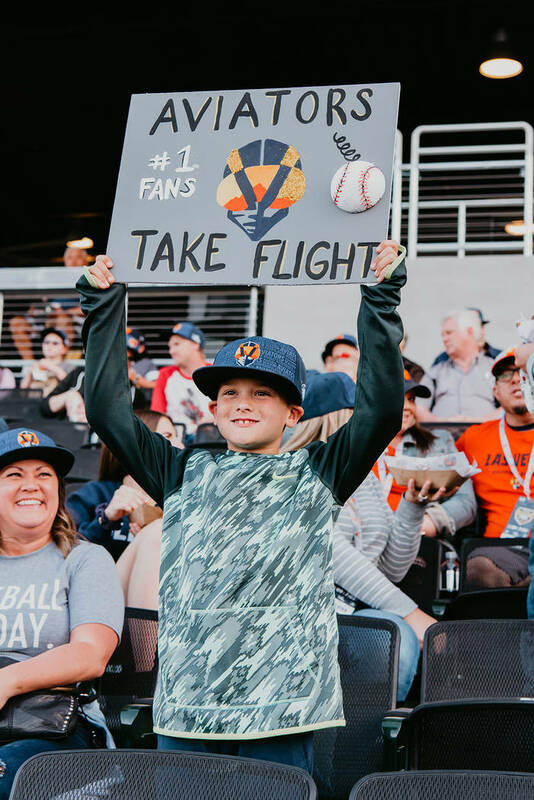 The Las Vegas Aviators, wholly owned by The Howard Hughes Corp., is the city’s oldest professional sports team and a member of the Pacific Coast League, as well as affiliate of the Oakland Athletics. 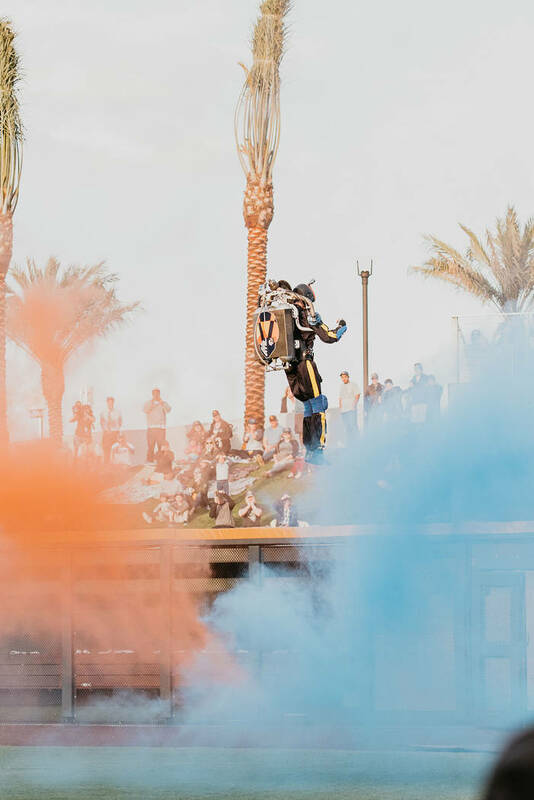 Formerly known as the Las Vegas 51s, the team played its first game as the Aviators earlier this week, marking the start of its 37th season in Las Vegas. 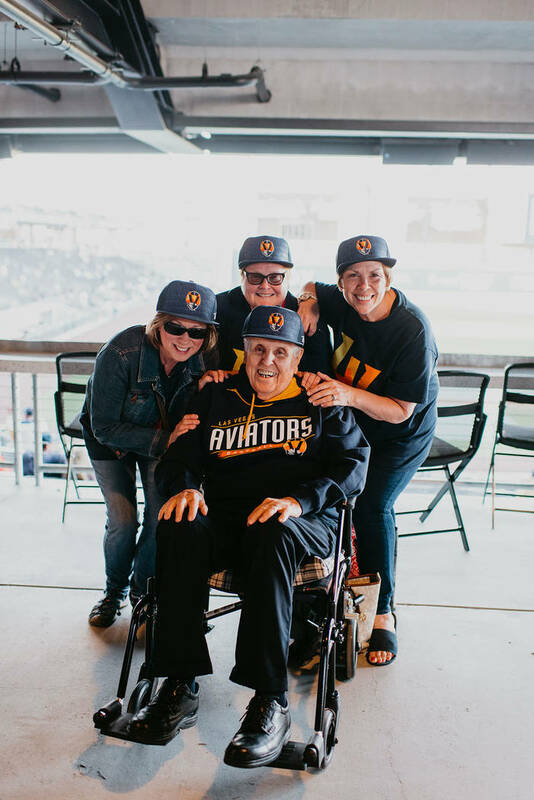 The evening not only included a win by the Aviators over the Sacramento River Cats, but also unveiled the Las Vegas Ballpark for fans, who experienced the ballpark for the first time. 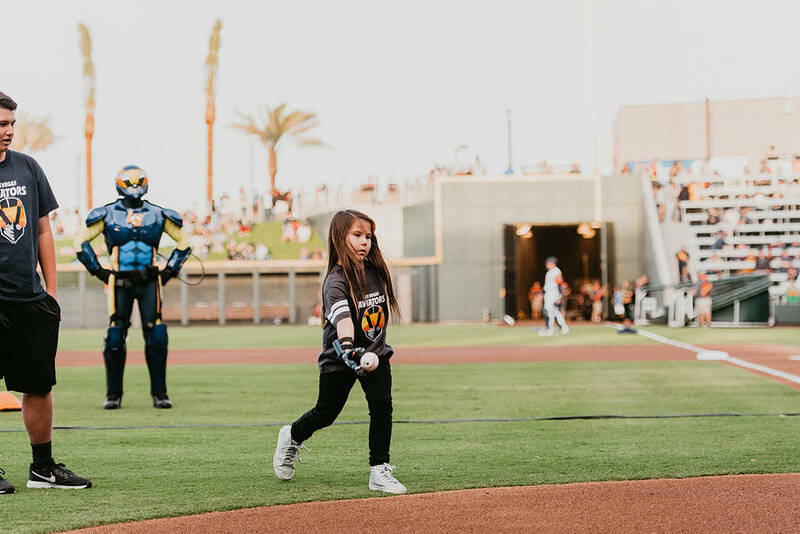 The season opener included a first pitch from Hailey Dawson, a celebrated local 9-year-old with a 3-D printed robotic hand created by the UNLV Howard Hughes School of Engineering and the first person to throw the first pitch in all 30 MLB stadiums nationwide. 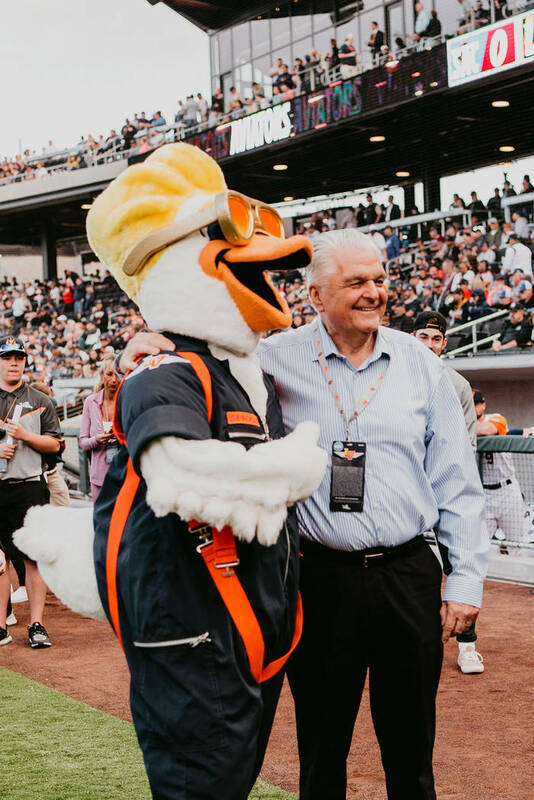 In addition to Weinreb, Dawson was accompanied to the mound by Sisolak and CEO of the Las Vegas Convention and Visitors Authority Steve Hill. 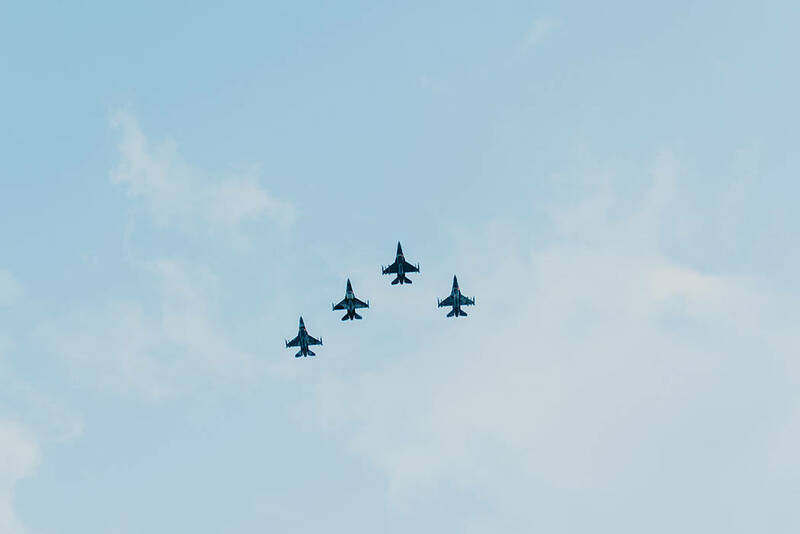 The night was also highlighted by a flyover from the United States Air Force Aggressors; the 64th Aggressor Squadron flying in F-16 Fighting Falcons from Nellis Air Force Base. 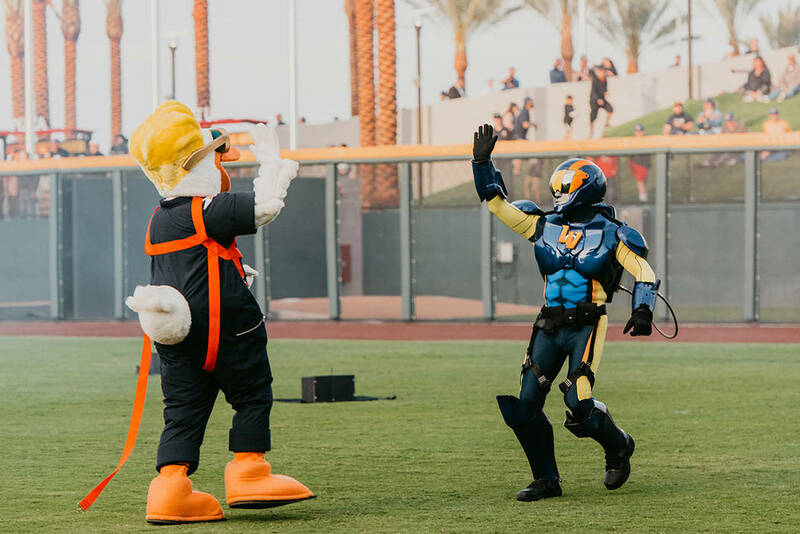 In addition to the Las Vegas Aviators’ new logo and team uniforms, fans were introduced to the team’s two new mascots for the first time: Spruce, a goose that lives in the outfield swimming pool at Las Vegas Ballpark; and Aviator, a larger-than-life “superhero” and ex-pilot who flew with great fanfare into the Ballpark via personal jetpack. 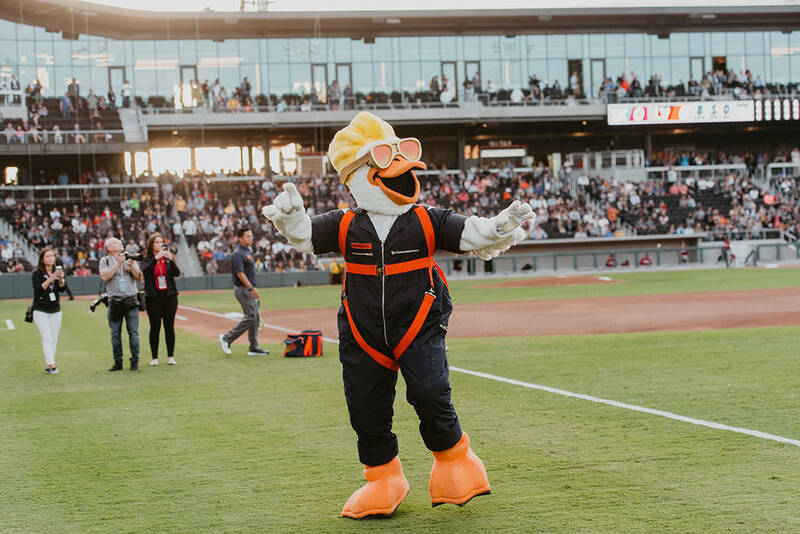 Both mascots embody the team’s aviation theme and are a nod to the great passion for aviation that, along with an unparalleled vision of innovation, defines the legacy of Howard R. Hughes Jr., namesake of The Howard Hughes Corp. 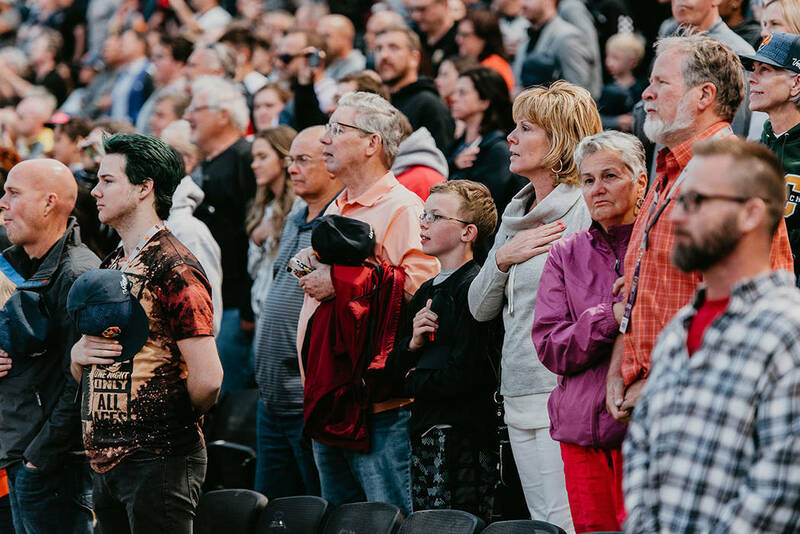 Located on 7.65 acres just south of City National Arena, practice facility of the National Hockey League’s Vegas Golden Knights, Las Vegas Ballpark is the second major sports facility to open in Downtown Summerlin, the urban core of the Summerlin master-planned community on the western edge of the Las Vegas Valley. 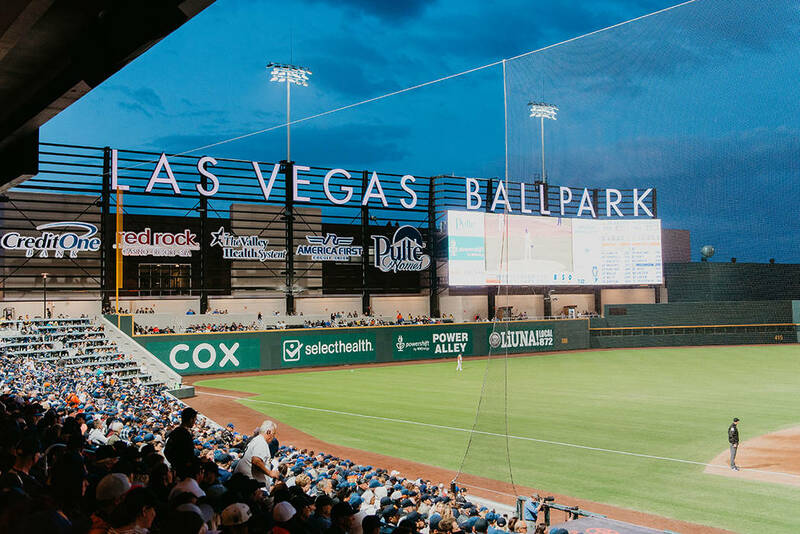 According to Steve Hill, CEO and president of the Las Vegas Convention and Visitors Authority, Las Vegas Ballpark is a community asset that will host other sports and community events year-round.